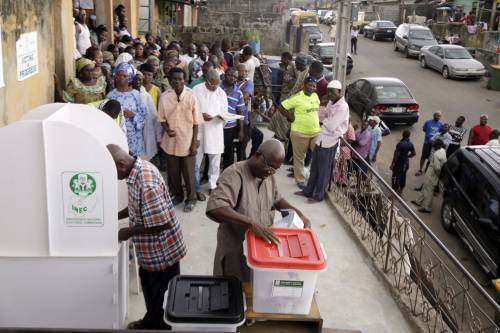 People of Igbo extraction in the 19 northern states have been banned from travelling to their states of origin to vote in next year’s general elections. Any person who flouts the directive would be fined an undisclosed amount of money. The decision was reached following an extraordinary meeting of the Igbo Delegates Assembly (IDA) in Barnawa, Kaduna State. IDA, an administrative umbrella organisation of Igbo resident in the northern states and Abuja, is responsible for members’ welfare. In attendance were executives, all Eze Igbos and chapter presidents in the 19 states. Zoaka, who was represented by Dr Agaba Halidu, a lecturer at the university, also listed ethical conduct, professionalism and accuracy as criteria for successful polls. He maintained that for Nigeria to have an election with integrity, factors such as enforcement, transparency and respect for the rule of law must be upheld. He advised politicians to shun hate speeches that could breed violent campaigns, and INEC to remain impartial to avoid voter apathy and rejection of results. Mr. Mohammed Baba, Commissioner in charge of Education at the Independent Corrupt Practices and Other Related Offences Commission (ICPC), said vote buying has become a threat to democracy, hence all efforts must be made to curb it. He disclosed that ICPC would embark on a nationwide sensitisation programme this month to change people’s attitude towards the practice. He added that other issues threatening the integrity of the elections include underage voting, fake news and partisan law enforcement. But President Muhammadu Buhari yesterday in Abuja gave the assurance that the result of the 2019 general elections would reflect the will of the people. The president, who also received a letter of credence from the ambassador of France, Mr. Jerome Pasquier, described the visit to Nigeria by French President Emmanuel Macron as impressive and a booster to bilateral relations. Admitting that “France is investing so much in Nigeria and we are grateful,” he nevertheless called for more support in the fight against terrorism as fighters increasingly cross the borders to support insurgents. Skolil, on his part, said his country would continue to support Nigeria’s military in the fight against terrorism in the northeast. “Nigeria is a very important country for us. We look forward to stronger ties, particularly with the armed forces,” he said.